Currently lives and works in Miami, Florida. 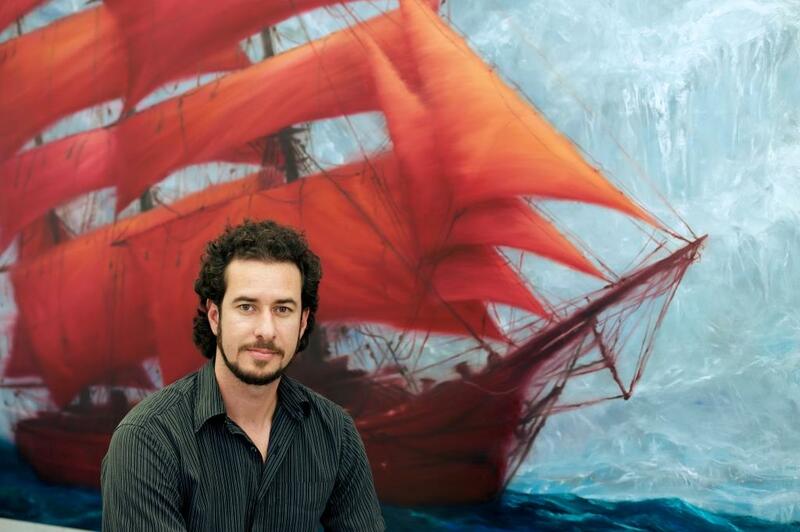 Julio Figueroa Beltran was born in Havana, Cuba in 1984. He attended the San Alejandro Fine Arts Academy in Havana from 1999 to 2003 and after graduated he coursed studies at the Superior Institute of Art (ISA) from 2004 to 2007. His work embraces many genres and supports, focusing on painting but also including installations with car parts and found objects. In his research of different conceptual and stylistic influences, Figueroa uses a broad range of subjects, exploring the general theme of man’s relation with his environment. He states that the nature of painting has the characteristic of being a never ending web of representation. He has embrace and constructed a pictorial universe with a daring use of unexpected juxtaposition of objects, colors and textures, where conveys a minimalist composition whit a subtle use of suggestions and metaphors.